Anyway, you can sail with up to another three web mates or three online randoms, or you can sail alone: no local (splitscreen) multiplayer. I played with a friend, with three randoms, and solo. You can crew a galleon, or hoist the mainsail on a nippy sloop. In what seems annoying, but turns out to be hugely satisfying, each function necessary to effective sailing must be done from a different part of the ship. For example, on the sloop, which is designed to allow solo sailing, all the functions of sailing are in different areas on the quarterdeck. You’ll find your own rhythm – look for your next destination at the map table in the captain’s cabin, and mark it, noting the direction between you and it. Turn the ship’s wheel so that when you start moving, you don’t get beached. Turn around, raise the anchor, walk around to work the sails to get her moving. Adjust the wheel, the sail angle, and amount of sail, popping down to the Captain’s cabin from time to time to check the map. The process is similar on the galleon, but the places on the ship where change could be effected are farther apart… and here’s where the multiplayer starts to really shine. The most efficient ships are those in which the sailors work as a unit, towards a common goal. Even after playing it for just a handful of hours, I’m prepared to say that sailing in a well organised ship is one of the great satisfactions available to gamers. Part of the reason for this is the breathtaking visuals. They’ve gone for smooth and cartoony artwork and character models, and it works, but the star of the show is the ocean. Or are the stars of the show the islands? Or are the stars literally the stars? Well, of course they are, but also, the night sky is simply incredible! There are many things you should see for yourself. The skeletons! The sharks! The treasure! The naval combat! Cannons, firing both cannonballs and players! The accordians! Death is not permanent and the game has many features that are very forgiving – for example, if you fall overboard and the ship sails off into the sunset, a mer-person will take the player back to their ship. One note of caution – I don’t see a whole lot of replay value in this game based on what we saw in the beta. Of course, I only had access to part of the game, but even so, I don’t see this game holding the attention of more twitchy players for too long. If you are looking for a fun activity to casually do with friends, which you can use as a frame for a conversation, this game would be perfect. So relaxing! A good one to play with kids who have moved out of home as a weekly catch up, or mates who have moved interstate. Or perhaps to play by yourself to guarantee a wind-down after a stressful day. This game is part of a shift towards diversity in how where, and why to play, which is very welcome from a game culture perspective, so maybe it just doesn’t fit in with what we expect from games. 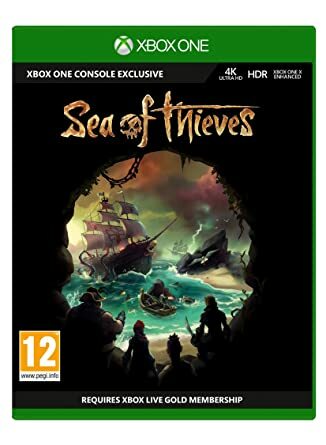 Sea of Thieves releases 20th of March, 2018 on Xbox One & Windows 10 – the pre-order price is around the $100 mark. The best thing about Sea of Thieves? An excuse to always talk with a terrible pirate accent! Want to hear about the latest and most interesting games coming out, or something in particular? Let us know! Email chad@gametruckaustralia.com.au or call 0433 318 001. No Replies to "Preview: Sea of Thieves (Xbox One)"